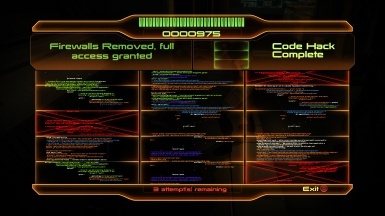 This MOD adds an auto win of any bypass or hack mini game in Mass Effect 2. After a few play throughs they become quite tedious. Lets face it. They are not gwent. Version 2 also increases the planet scan range such that a single probe will scan an entire planet. - Fixes planet scanning for non-me2controller version. - Increase planet scanning range. A single probe will scan an entire planet. 1. 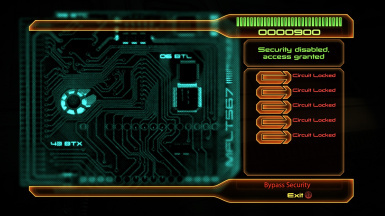 Copy the Vanilla\BioGame directory to your Mass Effect 2 install directory overriding the originals (Back them up first). If you are using the ME2Controller mod copy the folder from the ME2Controller directory. cause a crash on startup. to just copy the Startup_INT.pcc file over your Startup_<Langugage>.pcc file. If you would like to help me produce a version for you locale please send me a copy of your Startup_<Language>.pcc file.